In July 2013, Martin Roll spoke at the Taiwan International Branding Forum, an annual two-day forum that is organized to enable Taiwan in building up its local products and companies into globally recognized brands. Organized by the Ministry of Economic Affairs and the Taiwan Institute of Economic Research, the forum attracts many scholars and business leaders across various industries and provides a platform for the sharing of ideas in the fields of innovation, design and marketing. In his keynote speak, Martin Roll spoke about how Taiwanese brands can grasp business opportunities in Asia through branding. 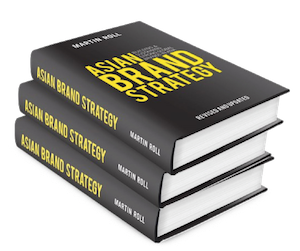 Martin Roll expressed that Asia has massive, unprecedented and fantastic opportunities for brand building over the next 10 or even 50 years. The new business paradigm is forcing companies in Asia to move away from its traditional focus on manufacturing, production, low-cost and price, to a stronger focus on branding, design and value. Branding needs to be seen as a strategic investment instead of being treated as a cost center. In almost every country in the Western market, it has been demonstrated many times that branding enhances shareholder value and delivers competitive returns. Branding is a catalyst for better leadership and encourages a balance between short- and long-term perspectives and performance. With strong innovation, leadership and culture in the business landscape, Asia has the essentials for companies to build solid global brands. Moving forward, legacy brands will not necessarily come from the west any more, as there are now many entrepreneurs springing up in Asia and many experienced ones returning to Asia to build brands. Being an advisor to many boards and C-level executives in the field of branding, Martin Roll is excited to be able to witness and be part of the process. To be successful in brand building, Martin Roll advises that a brand needs to be distinctively unique, very well-positioned, and be backed by strong skills and values. Taiwan has been trying to develop its local products and companies into globally recognized brands in recent years, and that calls for serious high-level efforts. Brands must be run at the boardroom level and be an integrated part of all strategic issues. One way to do this would be to introduce the Chief Marketing Officer (CMO) and show a representation of marketing department leaders at the boardroom. Once a brand is established, it does not mean that brand building has ended. In fact, the brand building journey has just begun. Brands should keep innovating, nurturing culture, and investing in research and development. In Martin Roll’s words, “Companies need to keep the innovation engine humming”, noting that arrogance and complacency would kill strong brands. Taiwan used to be known for its original equipment manufacturers and original design manufacturers, but now it is time for Taiwanese companies to step up, build up their own brands and move on to the next level in the value chain. Taiwan has massive potential to build brands, but to be truly successful, Taiwanese business leaders need to prioritize innovation, marketing and a mindset change.